Volkswagen is working hard to move on from that whole Dieselgate thing and, chances are, you won’t be buying a new diesel VW ever again. But you might be buying the T-Roc crossover. Back in 2014, VW revealed the T-Roc concept, a compact crossover with two doors and two removable roof panels. Some called it cute. We say it’s the new hairdresser’s car of choice. And now Automotive News has confirmed it’s coming to the US for 2019. "Everybody loves the T-Roc, everybody," stated former VW dealer chairman Alan Brown. 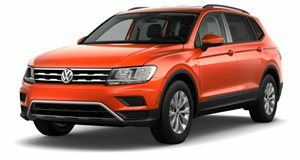 Of course that’s the opinion of VW’s US dealerships, who are seeing dollar signs before their eyes because compact crossovers are hot sellers today. In fact, it was the same US dealerships that convinced the higher-ups in Germany they could sell enough T-Rocs to churn a profit. A few questions remain about the production-spec T-Roc. For starters, it has yet to be decided where it’ll be built. VW’s Chattanooga, Tennessee plant is a possibility, but so is its factory in Portugal and – someone tell Trump! – Puebla, Mexico. A name change, thank heavens, is also likely. VW is currently rolling out its redesigned Tiguan and three-row Atlas crossovers in the US, but having the T-Roc at the lower end of the size spectrum will round out its lineup nicely. 2018 Volkswagen Tiguan Review: Better Looks And Three Rows, But Is It Still A VW? The Tiguan has lost a lot of what made it a Volkswagen, and in this case that’s a good thing.